Yamileth Fuentes constantly worried about her son Michael's education. As the mother of a child with learning disabilities, she made sure he didn't get overlooked in school. She fretted when his math worksheets weren't challenging enough, or when his spelling slipped. The energetic 42-year-old Metro bus driver wasn't afraid to fight on her son's behalf. She enlisted the help of clergymen, bureaucrats and an army of lawyers in the battle to get Michael (pictured) a proper education. Once, she even stopped her bus to confront the mayor when she spotted him giving a news conference on a downtown street corner. She believed, as countless other parents do, that her child should be given every opportunity to succeed. Even if he was sitting behind bars, accused of murder. Yamileth was 21 when she gave birth to Michael Garcia, her third child. He was a boy who loved to dance, was scared of thunder and didn't like being alone. When he was still very young, Yamileth began noticing oddities in the way Michael spoke. He had trouble finding the right words and sounds, and his sentences were a jumble. Kids teased him about it. In elementary school, he was diagnosed with a speech and language impairment and an auditory processing disorder. Michael never liked the special education label. It's just that you have a different way of learning, Yamileth told him. But the attention seemed to make him feel inadequate. He grew frustrated and started cutting class. As adolescence kicked in, Michael slipped more and more out of control, becoming obsessed with girls and hanging out with friends Yamileth didn't know. But with her, he remained a devoted son. He waited at bus stops after school, carrying Chinese takeout so that Yamileth, who worked 10-hour shifts without meal breaks, could get a bite to eat at the end of her route. He would quietly sit in the back of the bus for hours as streams of people got on and off, his shoulders swaying along with the bumps on the road. When they got home, he would take off her shoes and rub her feet, telling her every detail about his day. In early 2006, Yamileth got a call from a detective looking for Michael. He wanted to interview Michael about an incident the teen had witnessed, the detective told her. She didn't think much of it. Michael was picked up that afternoon. Around 10 that night, her phone rang again. This time, the detective told her Michael was under arrest. Authorities charged him with murder and attempted murder for two shootings in South Los Angeles. In the first, a car-to-car shooting left a man dead and a woman wounded. Michael was accused of being in the gunman's car. Six days later, gunshots were again ringing out in the streets when a frightened-looking teenager ran into a couple's backyard. A woman in the yard with her baby started screaming when she saw him. Her husband came running out. "Let me in, they shot me," pleaded the teen, whom the husband and wife later identified as Michael. When the husband tried to shove him out of the yard, Michael yelled at another teenager to shoot and kill the man, the couple testified. The other teen fired twice, grazing the man's buttocks, leading to the attempted murder charge. Casings indicated the same gun was used in both incidents. Authorities believed the shootings were related to the Barrio Mojados gang. Michael, they said, was a member. Yamileth quickly became a regular at Barry J. Nidorf Juvenile Hall in Sylmar, where she visited her son every weekend. She often still wore her blue bus driver's uniform and carried a lawn chair for the lengthy wait in the sun. Michael was housed in the high security "compound," with an extra set of fences. Facing transfer to adult court, the teens in the compound were deemed too dangerous to come into contact with other juveniles, much less go to school with them. Michael told his mother that classes inside the compound consisted of a couple of hours a day at the steel picnic tables where a teacher would pass out worksheets. She asked him to fold away one of the sheets to show her what he was learning. She was appalled to see single-digit addition for her 15-year-old son, who was in ninth grade before his arrest. Yamileth started talking to other mothers in the visiting line, and with them formed a parent-teacher association for the compound. Probation officers took to calling Yamileth and two others who were always speaking up the "three amigas." The parents, with chaplain Javier Stauring, met with attorneys at the Youth Law Center who demanded changes in the educational conditions at the compound. The county built modular classrooms and a secured path from the compound to the school facility to allow the youths to receive full days of instruction. Michael started attending special education classes staffed by a teacher and an aide. Yamileth saw the changes in the longer, more coherent sentences he was writing in his letters. That victory was short-lived. 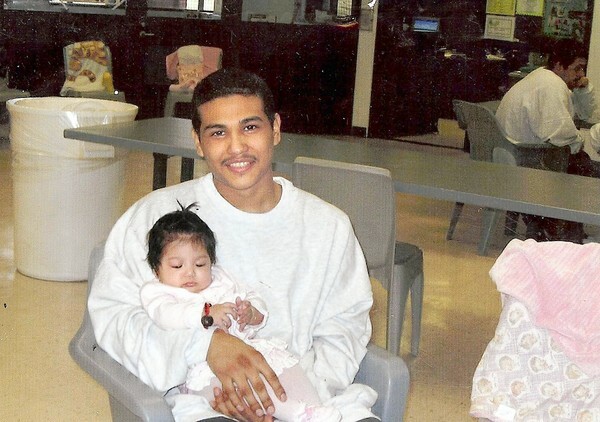 When Michael turned 18 in June 2008, a judge ordered him transferred to an adult lockup. Meanwhile, the wait for his criminal trial stretched on as court dates were postponed month after month. At one point after his transfer, Michael was attacked by other inmates who slung a rope around his neck and stuck a needle full of heroin in his arm. They suspected he was a snitch. On their first visit after the attack, mother and son spent the hour crying. Michael tried to hide the wounds by pulling up his shirt, but Yamileth could see the bruises marring his neck, and his bloodshot eyes. He was immediately transferred to protective custody at Men's Central Jail in downtown Los Angeles. Michael seemed to have gone through a profound change, his mother said. "I'm not going to give up on myself," he told her. "God gave me a chance and it was for a reason." But in the Central Jail, Michael's education stopped. Yamileth sent him novels, dictionaries and workbooks, and geared up for another battle. Attorneys from the Disability Rights Legal Center told her that as a special education student, Michael was entitled to public education until his 22nd birthday. The second legal fight for Michael's education played out like a game of hot potato, with agency after agency claiming he wasn't their responsibility. In a hearing before an administrative judge, the Los Angeles Unified School District argued it shouldn't have to provide education for inmates. "The way they see it, it seemed, was 'He's facing so many years, what does he need an education for?' " Yamileth said. "But he wasn't even convicted. You don't know … if he's going to walk out the next day." A few months later, Yamileth was at work when her phone rang. It was Carly Munson, Michael's attorney with the Disability Rights Legal Center, with news of the judge's ruling. Her son was going to get an education. Tears streamed down her face. A confused passenger who walked onto her bus told her he didn't have exact change for the fare. She waved him on. She couldn't care less. The judge found that Michael had a desire to learn and work for a high school degree, and that he was being deprived of his right to free public education. L.A. Unified was ordered to provide classes and therapy to make up for lost time. In the meantime, the prosecutor on his criminal case was telling another judge he "no longer [had] confidence" that Michael was at the scene of the murder, saying a witness was "trying to put the murder off on" Michael. The murder charge was dropped. Michael agreed to serve 12 years for a count of attempted murder and two counts of vandalism. With time served, he could be released when he is 25. The following month, Michael became the lead plaintiff in a class action lawsuit to establish access rights for all special education students in county jail. On the Sunday after Christmas, Yamileth went to visit her son. She scanned his face through the thick glass in the visiting room. Michael smiled widely. He asked if she had gotten the Christmas card he'd sent. He asked about his brothers and mentioned how cold it had gotten in the cells. Michael's court-ordered education hadn't yet started. He had been poring through novels, going through a book in two or three days and begging his mother for more. Trying to teach himself math had been challenging, he said. Once he is released, he wants to be able to provide for his 5-year-old son and 3-year-old daughter, he said. "It's hard by myself," he said. "I like to ask questions." Earlier this year, Michael started attending classes in an attorney's room at the county jail. At the end of the semester, he mailed Yamileth his report card with a sprinkling of B's and C's. Even better was an A in reading, the first he'd ever received. He asked his mother to take good care of the report card. She joked that she would have it framed. Michael was transferred this month to the California Institution for Men in Chino, where he will serve the remainder of his term. Now, the possibility looms that Yamileth might have to fight yet again. A different set of laws applies to education in state prison, said Andrea Oxman, one of Michael's attorneys. It is unclear if Michael, now 20, will have access to special education. Yamileth is undeterred. If it takes another round, so be it. "I want my son to come out of there a better man than when he walked in," she said. "I know I have to work hard to accomplish this, and he's going to have to work hard."